Savory stuffed sweet potatoes topped with crumbled homemade veggie burgers and all your favorite toppings! 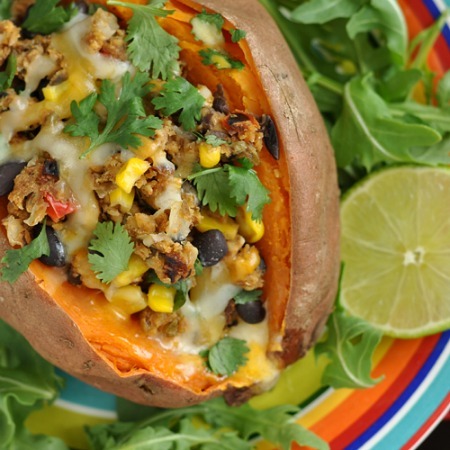 These veggie burger stuffed sweet potatoes rock! I’m convinced these veggie burger stuffed sweet potatoes could easily be a wordless recipe. Combine a little simple addition, [this] amazingly versatile mexican veggie burger recipe, and the following three photos and you’ve got a deliciously an easy lunch that’s fun, filling, and fast! Cat got me hooked on these a while back and I’m here to offer the same addition up to my blog buddies. It’s only fitting! In case you need me to fill in the blanks a little, you’ll simply want to grab a leftover veggie burger… though while we’re at it, literally any burger will do! So uh, yeah, grab one and bake at 350 F until warm and crumbly. While it’s baking, either bake or microwave your sweet potato. Ready? Slice the spud, stuff with your veg burger and cheese and pop it back in the oven until hot and melty and then top with all your favorites! 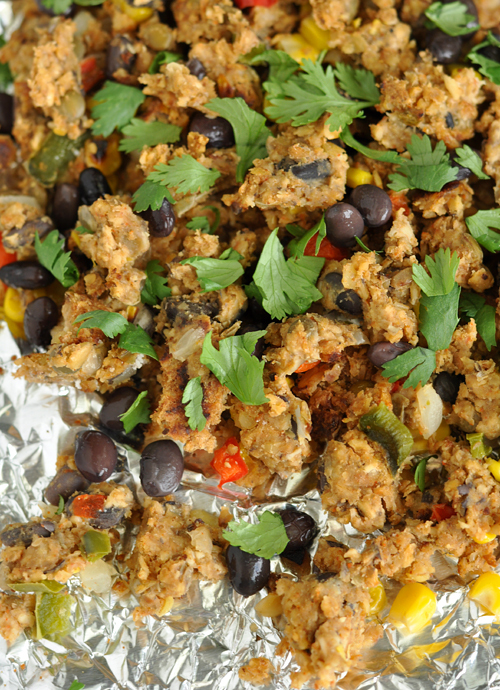 You can add fresh cilantro, salsa, greek yogurt, sour cream, guacamole, or even a squirt of fresh lime juice! The possibilities are endless. And don’t fret, I’ll be back with an actual recipe as soon. WordPress makes me dizzy. Or maybe that’s tequilla. I shouldn’t mix the two. Totally with you on WordPress! This looks so good. I’m sweet potato obsessed! 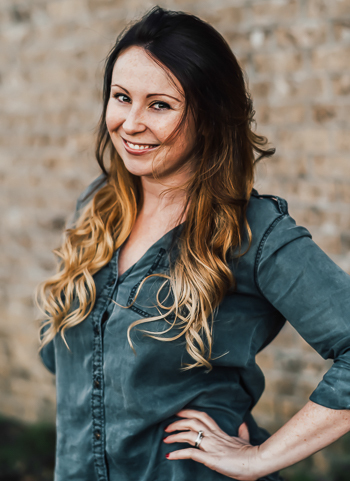 Also, I love #WIAW – so awesome! WordPress makes me dizzy too… I just got a site redesign and it is a nightmare right now.. LOL! This will be dinner tonight! LOVE IT! That. Looks like. Perfection. <3! I make this ALL the time. All sorts of variations, the options are endless!!! YUM!!! Me too! I think I’ve made like 1000 variations and it never gets old! Evah! 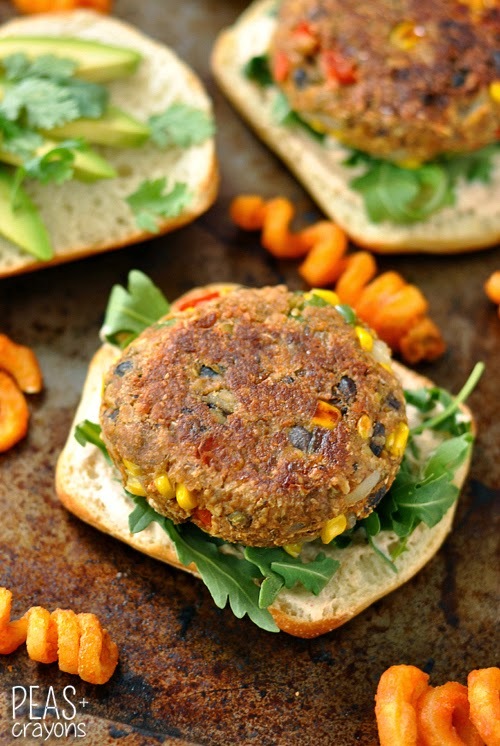 I totally need to start stuffing some sweet potatoes with veggie burgers… what an easy and delicious dinner idea! 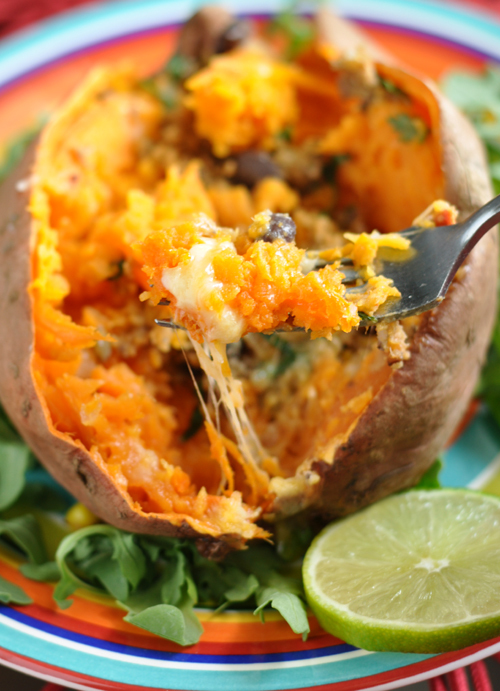 I can’t eat a sweet potato stuffed with goodies anymore w/o thinking of your blog! Looks simply delish. You are the ‘tater queen. You Tater Stuffer, you. Mwah! I disagree. You should always mix WordPress and tequila. I’m no WP rock star, but I’m here if you need any help. Love it! WordPress makes me dizzy, too. And sometimes I have to mix it with booze or my computer will end up out the window.